All orders placed Monday through Thursday before 3pm EST will ship out the same day except for orders placed on a Friday. All orders after 3pm EST will ship the next business day except for orders placed on a Friday will be shipped out the following Monday. It's really hot where I live, how do you package the chocolates for this? We use Thermal Bubble Insulation and Ice Packs for all shipments to warm weather states. In certain cases we may call you to ship out the product on a cooler day for arrival. Do I have to ship overnight delivery for Fresh Chocolate Strawberries and other fruits? You may ship GROUND delivery to the following states:	DE, PA, NYC, CT, MA. All other ship to states you must choose overnight delivery to ensure the freshest product. Do I need to freeze my order to keep it fresh? No. We do not recommend freezing our chocolates as they may get condensation and/or mushy. Store your chocolates in a cool dry place away from odors as chocolate will absorb those odors. Please consume your chocolates in a timely manner of a Week to Ten days for best flavor. Right now David Bradley Chocolatier only ships to United States addresses. We ship via UPS and PO Box Addresses are not allowed, you may want to consider sending the product to you or your recipient's workplace instead for faster delivery. Can I ship to more than one person on one order? You will receive a tracking number via email as soon as your order is processed and shipped. Once you have your tracking number, you can easily track the order by going to our Track My Order page.You can also log into your account and retrieve your tracking number there by clicking on "View Details", then click on the Tracking Number to track it. If you have any questions you can always call us at 877-BUY-SWEETS (877-289-7933). How far in advance should I place my favor order? We recommend that you place your order about 8 to 10 weeks before the event and select a delivery date of one week prior to the event. Store the favors in a cool, dark place - 70 degrees or cooler. Yes, volume discounts are listed below, discounts do not apply to Shipping & Handling Charges. My credit card won't go through, why? Please be sure to use the correct Billing Address for the credit card you are using including street address and zip code. If it still will not go through please call us at 877-BUY-SWEETS (877-289-7933). What is David Bradley's Policy on Donation requests? We would like to honor all requests, however, David Bradley Chocolatier receives numerous solicitations for donations and promotions annually and unfortunately, we cannot accommodate everyone. We will make our best effort to help if we can at that time. Although we cannot ship samples to you, you can always visit David Bradley Chocolatier in Windsor, NJ and sample our products there. Our Address is: Windsor Industrial Park, 92 North Main Street, Building 19, Windsor, NJ 08561. Why didn't my promotional code or promotional offer work? Occasionally David Bradley Chocolatier will offer special promotions and discounts. Many offers require a minimum dollar amount to spend in order to qualify for the promotional offer. This amount does not include tax or shipping and cannot be split between multiple shipments. Offers are valid in the US only on orders placed on dbchocolate.com. Discount promotions are not redeemable for cash. All internet orders where a free gift is specified will be shipped to the same address. How can I apply for a job with David Bradley Chocolatier? For a listing of all current job openings at David Bradley Chocolatier go to our Career Listings Page. 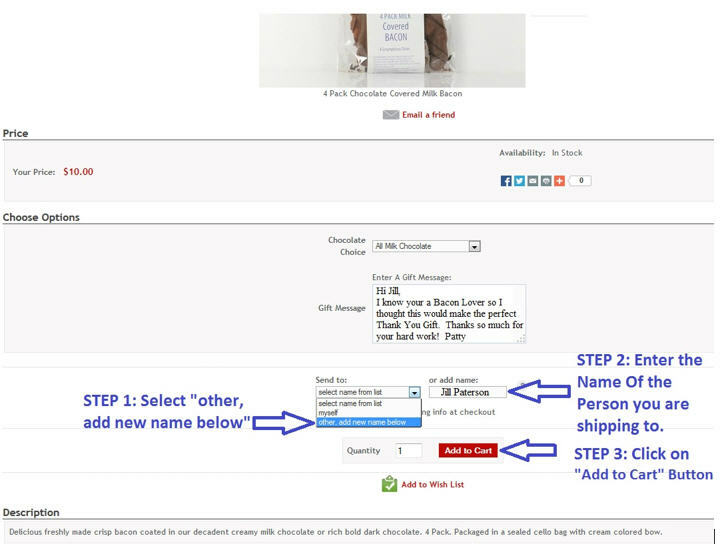 How can I sell David Bradley's Chocolates in my store? Please email us at sales@dbchocolate.com and send us your contact information including Contact Name, Company Name, Store Address, City, State, and Zip Code. Please include your phone, fax, email and Tax Identification Number. We will then contact you on how to start selling David Bradley Chocolatier products.